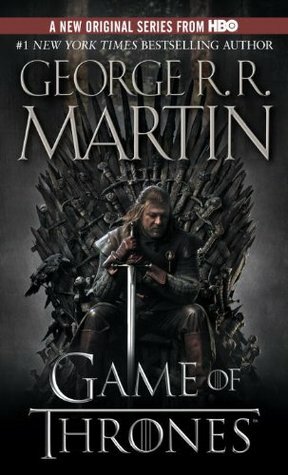 I read A Game of Thrones when it very, very first came out. At the time I thought, "this is awesome!! I can't wait to find out what happens next!" I regularly checked my bookstore for the sequel... and I kept waiting, and waiting... And by the time the sequel came out, I was bored of epic fantasy and had forgotten everything that happened in the first book. So even though I loved it at the time, I've never had any desire to pick up the series again, at least in book form. The TV series is fun to watch though. 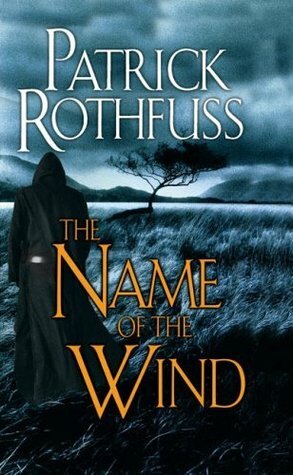 Also, I've had The Name of the Wind on my shelf for like 1000 years. I'm going to try to start reading it again soon. But I like to read several books at once, so maybe this time I'll be able to slowly ease into it and get hooked. Happily on The Kingkiller Chronicle, the second book is already out as well as a novella set in the universe. ;) You can go through all of those slooooooowly and be done just in time for the third book in 2017 which, as I understand it is supposed to be the last one in the series. 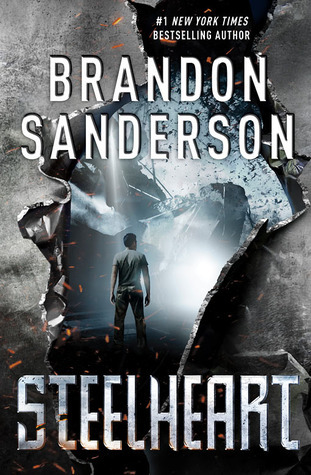 Steel heart has an odd tone, for certain. I found the flipped script (bad guys are the superheroes) colored my experience of the book. It's not my usual happy-go-lucky fare. But I enjoyed it because I like the *way* Sanderson writes (even with the silly teen boy hand-wringing over girls, which I have a dim awareness of too, but didn't particularly bother me perhaps because I live with a silly teen boy who is known to occasionally hand-wring...lol) Something about how Sanderson puts sentences together just REALLY appeals to me. I actually really liked the flipped script of superheroes being bad guys. If you think about any superhero movie from the point of view of an ordinary person, they're very much like a natural disaster. If you look at the first Avengers movie for example, they LEVEL downtown New York. The amount of damage they cause while fighting the Chitauri is going to cause a million people to lose their job, not to mention the people who die because they get buried in the rubble. This is New York on a normal weekday we're talking about so it's not like the offices are empty. So that's a few million New York refugees right there. From one superhero battle. Which are very common if you have superheroes. And the Avengers were at least somewhat mindful of the damage they were causing. The Superman movie destroyed the final battle city completely. In the real world repairs don't happen with a magic wand and just because the people shown on the screen get saved doesn't mean that others don't die because they're in the wrong building when Hulk drives a Chitauri worm through it.